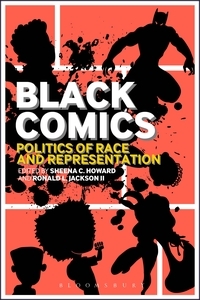 Congratulations to Black Comics: Politics of Race and Representation edited by Sheena C. Howard and Ronald L. Jackson II for winning the Will Eisner Comic Industry Award for Best Scholarly/Academic Work over the weekend at San Diego Comic-Con! The Eisner awards, according the website are “considered the ‘Oscars’ of the comic book industry.” More information and the full listing of winners are here. Check out more information on Black Comics: Politics of Race and Representation.